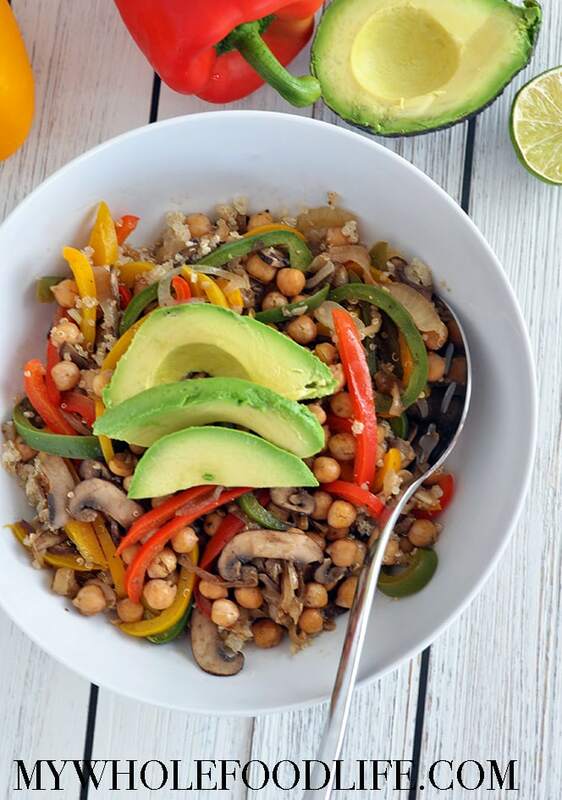 Chickpea Fajita Bowls. I know it’s been awhile since I posted a savory recipe. So today I am bringing you this healthy fajita bowl recipe. It’s naturally vegan and gluten free. Super simple and you can really add any veggies you like. I love this dinner idea because any veggies will work. So you can use up leftovers in the fridge. I served mine over cooked quinoa, but you can eat it plain too. Serving over brown rice is another option if you want to stretch the meal out more. If you like a little more heat, you can add a jalapeno at the same time you add the bell peppers. Want to make this recipe? Watch the video below. For more videos, you can subscribe to my You Tube Channel. Enjoy the recipe! Looking for more healthy dinner ideas? 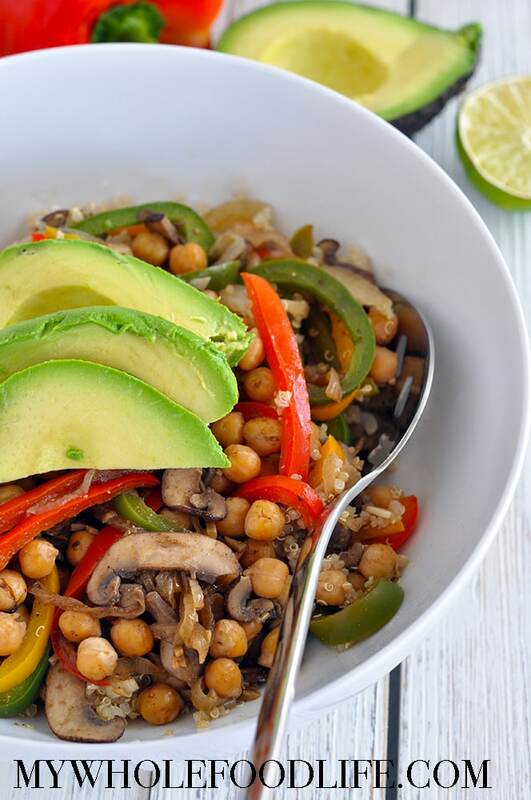 Super easy Chickpea Fajita Bowls. Vegan and gluten free! In a large saute pan , on medium heat add the oil, onions and garlic. Cover and cook for 3 minutes. Then add in the peppers and mushrooms and cook for another 5 minutes. Lastly, add in the fajita seasoning, chickpeas and sea salt. Cook for another 2-3 minutes. When ready to serve, squeeze the lime juice over the top. You can serve over quinoa or brown rice. We topped ours with avocado. This should keep for 5 days in the fridge. Enjoy!